Toddler Food Allergy Symptoms And Harmful Foods To Avoid Feeding Your Child. What is a toddler food allergy? Put simply, it’s when your toddler’s body thinks a perfectly normal food is poison—and treats it as such, over-reacting in such a way as to poison itself. If your child has a food allergy, he’s not alone—almost one in twelve little children are dealing with the same thing. The good news is, it might not last. Many toddler food allergies are outgrown as your child grows. If you notice any of these signs after your toddler eats a certain food, it’s likely that he has food allergy. 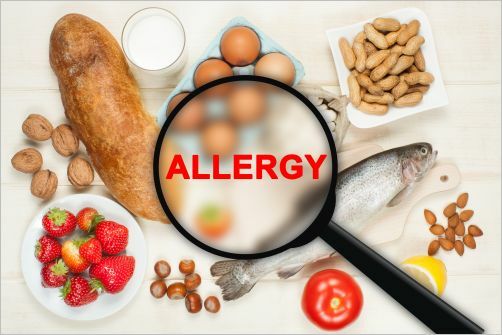 Although most food allergies are not dangerous, there are some quick-acting allergies that are in fact life-threatening. If your toddler has trouble breathing and his tongue and throat swell up, you need to call 911. A severe, life-threatening reaction is called anaphylaxis. What Might My Toddler Have an Allergy To? When you introduce foods to your baby it is recommended that you do it slowly, a new one every two or three days, so that you can see if there are any problem triggers. But by the time your toddler is comfortable with eating, you tend to introduce new foods without even thinking about it. This is when allergies issues can pop up. How Can I Find Out What My Toddler Has a Food Allergy to? Start by keeping track of what he eats and when he gets a reaction. 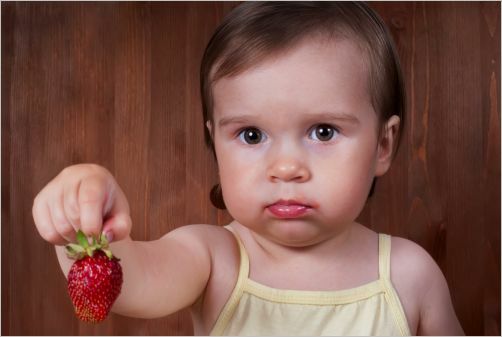 If there’s a certain food your toddler seems to react to, talk to your pediatrician about it. He can do either a skin-prick test or a blood test to verify it. My Child Has a Food Allergy—What Now? Don’t panic-- it’s not a death sentence—it’s not even a sentence prohibiting enjoyable eating. Remember, these allergies are often outgrown; and even if they aren’t, there are lots of ways you can provide delicious tastes in nonstandard ways. What you need to do now is change your recipes so that you don’t cook with the food that triggers your toddler’s allergies. Find substitutes, and clean out your kitchen if possible. Make sure that everyone else who takes care of your child knows about his allergy too. You may want to make a badge he can wear places that he’ll be without you; places like the toddler Sunday School in church or the children’s group you take him to when you workout at the gym. Make the badge easy to read and informative. If your child has a potentially dangerous allergy, you should talk to your doctor about keeping a epinephrine auto-injector on hand. This is a small device that looks like a pen, but it can deliver one dose of life-saving epinephrine to your child if he’s having a life threatening reaction. In cases of severe allergic reaction, every minute counts.